Tangent Expeditions employs several year-round staff together with a seasonal team of snowmobile guides, boat drivers and mountain guides. These are some of the people who will be looking after you in Greenland. 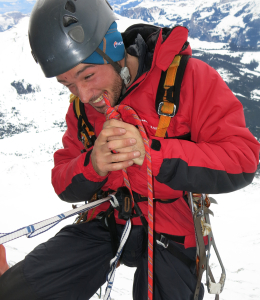 Mountaineering Instructor Certificate (MIC) - the highest level of award available in British mountaineering. IFMGA Mountain Guide – the highest qualification in mountaineering, held by the most qualified and experienced professionals to lead people in the mountains, with a training and assessment that takes many years and exceptional skills to achieve. All our guides are trained in outdoor mountain first aid. Paul has been guiding expeditions in arctic Greenland, Canada and Svalbard for 30 years. He led the first and only winter ascent of the Arctic’s highest mountain, Gunnbjørnsfjeld, the first commercially guided ski-crossing of the Greenland ice cap, and made the first high level ski traverse of Svalbard in winter. He has organised over 250 expeditions and made over 100 first ascents of previously unclimbed mountains in Greenland. Lizzie is responsible for establishing Tangent’s business strategy and developing plans that deliver it. 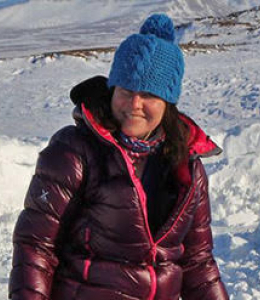 She supports the team to run operations and loves snowmobiling, ski-touring and wild camping in Greenland’s frozen landscapes. Back home, she enjoys open water swimming, wildlife watching and days out in the Northumbrian hills. 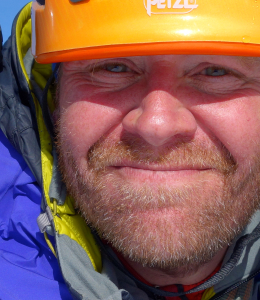 Scott works full time as a mountaineering instructor and expedition leader, and is training for his MIC. In Greenland he has guided expeditions to the Stauning Alps and throughout Liverpool Land. He has spent 8 seasons working as a guide in Antarctica, including guiding groups to the South Pole and to the summit of Mount Vinson. 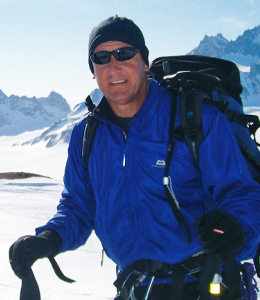 Other expeditions have taken Scott to Alaska, Kyrgyzstan, Mongolia, Russia and throughout Europe. Maria takes care of the base operations and logistics at our Constable Point base, as well as guiding snowmobile trips. She also manages the company website and organises all the staff and expedition food - a pretty big undertaking! When not dreaming about mountains of dehydrated chili, she enjoys climbing on the granite around her home in Squamish, BC and ski touring in the Whistler powder. Phil is a IFMGA Mountain Guide and is Tangent's Safety Officer, as well as managing spring snowmobile operations. He's been leading Greenland expeditions since 2003, as well as guiding all over the world. When not in the mountains, he works for a multinational management training company, advising on safety and training staff. Phil lives in the English Lake District. 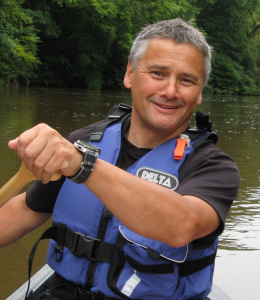 Ian is recognised as one of the top outdoor development instructors in the UK, with 37 years’ experience in outdoor development training. He has lead over 35 commercial mountaineering and wilderness expeditions to all seven continents, including trips to Everest and Antarctica. 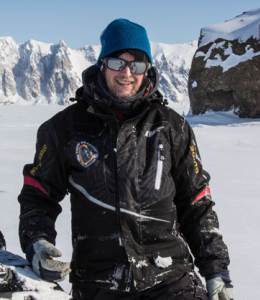 He has previously worked as a field guide for British Antarctic Survey and for the University of Cambridge in the high Arctic. Inspiring and developing individuals along with strengthening teams to build high performing organisations has been the golden thread of Jim’s career since the 1990’s. Previous clients have included ING Bank, Google, Dalkin, Transport for London and John Lewis Partnership’s Senior Executive Team. Jim is a keen climber and fell runner and, in addition to MIC, holds a wide range of coaching and outdoor qualifications. Alan has taken part in and led over 40 Mountaineering Expeditions around the world since buying a one-way ticket to Bolivia when he was 18 to climb mountains. Recent trips include two journeys to Afghanistan to make first ascents of unclimbed peaks and he has made 10 visits to Greenland guiding expeditions. Alan guides and instructs at the Scottish National Centre for Mountaineering, Glenmore Lodge. He also trains and mentors new Mountain Instructors. 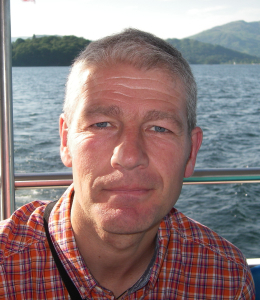 Nigel has worked extensively in the Arctic for Tangent since 1997. This has taken him to many regions of Greenland and Baffin Island, including leading Ian Wright (ex-England and Arsenal footballer) to the top of Gunnbjørnsfjeld, the highest peak in the arctic. He has also worked as a head raft guide and trekking guide for Himalayan Encounters for two seasons. 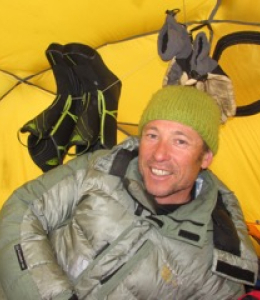 Neil has over 25 years of quality experience coaching a wide range of activities around the world including in Greenland, Ecuador, New Zealand, Himalayas and many Alpine adventures. Neil started his outdoor career as a ski instructor prior to developing his mountaineering skills, which remains his passion. Neil also works as a personal development coach, assisting wounded, sick and injured service personnel to achieve their aims and potential. Stu is a mountaineering instructor from the English Lake District, who holds the MIC - the highest qualification in the UK system. As well as working as a snowmobile guide for Tangent, he has also guided the Iceman Challenge Event. Stu’s love of climbing in all its forms has taken him to six continents but he’s always happy to return to his rural home where climbing and skiing is also on the doorstep. 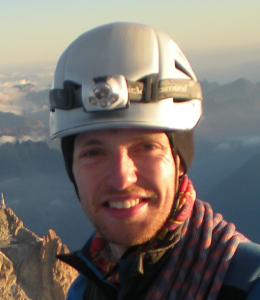 Andrew is an anaesthetist and an experienced expedition doctor. 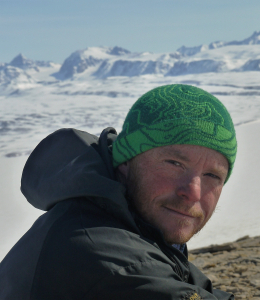 He is also an investigator with the Xtreme Everest research group and a deputy module lead on the Diploma in Mountain Medicine. He holds a number of outdoor coaching awards and previous expeditions to Greenland have included leading a trek along the Artic Circle Trail, sea kayaking 240km along the world’s longest sea fjord system and alpine first ascents. Andrew is training for the Winter Mountain Leader award. Pete is a climber and runner based in the Lake District. 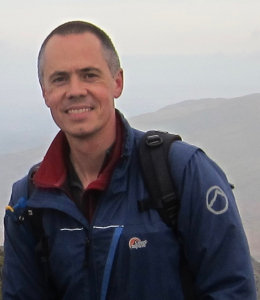 He has spent most of his working life as a teacher, working extensively with groups of young people in the outdoors. He's now trying to be semi-retired but still works part-time as a lecturer and educational consultant and instructing rock climbing. He admits that he hasn't quite got the hang of the retirement thing yet! 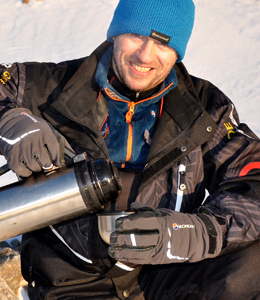 Adrian has taken part in six expeditions to Greenland, in addition to several seasons as a snowmobile guide. He loves the wilderness feeling and getting away from the chores of living in society. 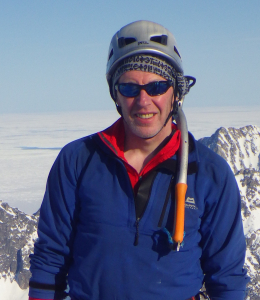 When not in the arctic, Adrian enjoys climbing, mountaineering and ski touring and is a passionate caver. 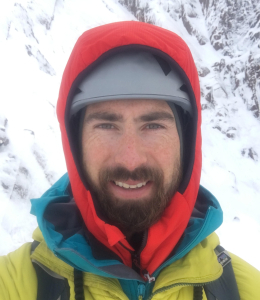 Neil is a passionate climber and skier who is now utilising his extensive mountaineering knowledge as a snowmobile guide for Tangent Expeditions. He has climbed big walls all over the world, including remote first ascents. Neil also runs the instructional climbing website VDiffClimbing.com from his home in Squamish, British Columbia. 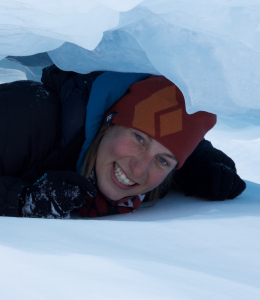 Lizzy is a passionate traveller and loves the outdoors, with recent highlights including leading a trek along the Arctic Circle Trail in Greenland, leading a medical research trek to Everest Base Camp and hiking in remote regions of Norway. She holds the Mountain Leader Award, numerous paddling qualifications and a Level 4 Remote Emergency Care first aid certificate. Her day job is as a teacher and deputy head of 6th form. 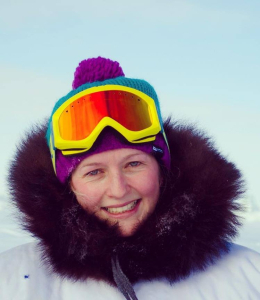 Mairi is a marine biologist by trade and has spent a number of years carrying out research in the polar regions - from Arctic Canada to Antarctica; where she spent two winters working for the BAS. In her spare time she is a keen ski mountaineer and climber, and is currently a trainee ski patroller at her local ski resort in Scotland. 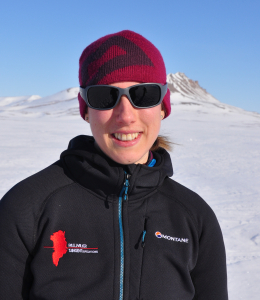 Mairi has participated in a number of expeditions in Greenland including completing the Iceman Challenge in 2017. Paola is an engineering specialist in international supply chain & logistics in remote areas. 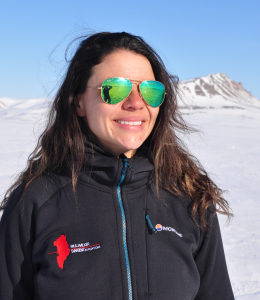 She joins our team directly from the 40°C heat of Brazilian summers, and is looking forward to experiencing Greenland snow in sub zero temperatures! In her free time she enjoys discovering and exploring new places and activities including climbing and mountaineering. Karl is the one responsible for keeping our snowmobiles in great condition and ready for long journeys. He has extensive experience as a mechanic all over the world, including through an Antarctic winter. When not fixing engines, he enjoys climbing and mountaineering. 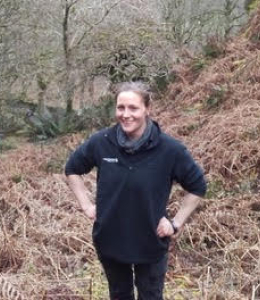 Carly is a Ranger for the Lake District National Park, meaning she has lots of experience of driving vehicles from quads to land rovers to diggers, as well as snowmobiles! She loves the outdoors, climbing and exploring, and has been lucky enough to work in some of the most beautiful parts of the UK in environmental conservation. Lauren is a senior medical student with interests in trauma and pre-hospital medicine. She has a BSc(Hons) in Pre-Hospital Medicine and has experience in teaching and examining initial trauma assessment skills. In her spare time, she is a keen cyclist and enjoys skiing and running.